Gross collections (before adjusting for refunds) in FY 2017-18 have increased by 13% to Rs.11.44 lakh crore. Refunds amounting to Rs.1.49 lakh crore have been issued during 2017-18. The growth rate for net collections for Corporate Income Tax (CIT) is 17.1% and for Personal Income Tax (including STT) is 18.9%. However, it is reiterated that the aforesaid figures are as yet provisional and subject to change pending final collation of data of collections. During FY 2017-18, 6.84 crore Income Tax Returns (ITRs) were filed with the Income Tax Department as compared to 5.43 crore ITRs filed during FY 2016-17, showing a growth of 26%. There has been a sustained increase in the number of ITRs filed in the last four financial years. 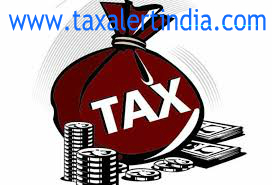 As compared to 3.79 crore ITRs filed in F.Y. 2013-14, the number of ITRs filed during F.Y. 2017-18 (6.84 crore) has increased by 80.5%. The increase in total returns filed and new returns filed during FY 2017-18 is a result of sustained efforts made by the Income Tax Department in following up with potential non-filers through email, SMS, statutory notices, outreach programmes, etc. as well as through structural changes made in law and the Government’s emphasis on widening of tax net.